Rajasthan Royals seem to have picked up from where they left off last season with Jos Buttler’s form deciding their results. Off the five defeats that RR have suffered this season, four have been matches in which Buttler either scored in single digits or failed score more than 40 runs. His typically explosive 89 in their previous match against Mumbai Indians helped Rajasthan Royals suffer a dramatic collapse at the end of the innings and win by four wickets. Buttler has not quite gone on overdrive the way he did last season – he scored 548 runs at an average of 54.8 which included five centuries. His tally stands at 288 runs in seven innings with three 50’s and Kings XI Punjab would only know too well the importance of getting him out. His dramatic and controversial dismissal by Ravichandran Ashwin earlier in the season in Mohali triggered a collapse that saw RR go from 108/1 to 170/9 and thus losing the match by 14 runs. 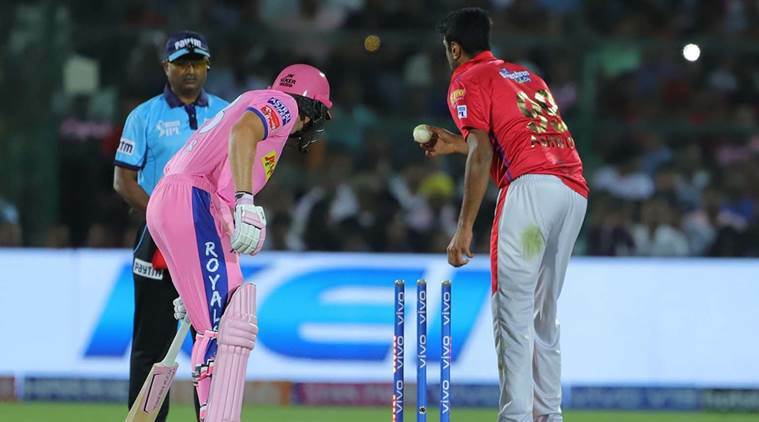 The only other match which Rajasthan won was against RCB, in which Buttler again played a key role, hitting 59 runs when his team was chasing a target of 159. If Buttler boosts Royals’ batting, Kings XI have Chris Gayle, who smashed an unbeaten 99 to single-handedly anchor Punjab to 173 against RCB in the previous game. Gayle’s opening partner KL Rahul also has been in good form but his 64-ball unbeaten 100 too went in vain when MI chased down 197 to hand them a three-wicket loss. Kings XI Punjab have endured a stuttering season thus far. In their previous match, they became the first this season to lose to Royal Challengers Bangalore and before that was a defeat away from home to MI. They thus come into this match looking to avoid a hat-trick of defeats and slip further behind in the race for the playoffs that will soon heat up considering we are into the second half of the group stage.